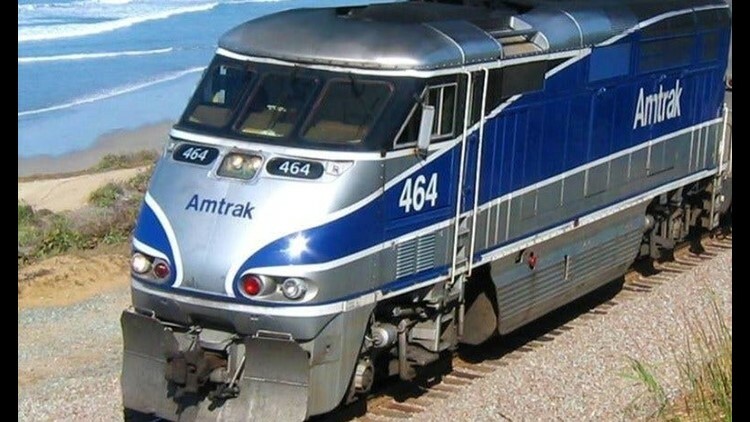 SAN DIEGO (CNS) - Rail service along the Los Angeles-San Diego-San Luis Obispo rail corridor will be suspended through 5 a.m. Monday from Oceanside to San Diego for track and signal improvements, according to the San Diego Association of Governments. The scheduled rail work in Encinitas, Carlsbad and San Diego will affect weekend rail service for the four railroads that use the corridor -- the North County Transit District, Metrolink, Amtrak and freight line BNSF. Rail service is expected to resume Monday for morning commute hours, albeit with possible delays. Track crews in Encinitas will repave the rail crossing at Chesterfield Drive and install rail crossing signals and other technology that will improve safety. The improvements are part of the $76.8 million San Elijo Lagoon double-tracking project to add a second rail track between Cardiff-by-the-Sea to the San Elijo Lagoon. SANDAG expects the project to be completed this spring. Crews in Carlsbad will construct new segments of track near the NCTD Coaster Poinsettia Station. The $33.7 million Poinsettia Station Improvements Project "will lengthen and elevate passenger platforms, install a fence between the tracks within the station, relocate a section of the existing tracks, and replace the existing at-grade rail crossings with an undercrossing featuring stairways and ADA compliance ramps on both sides of the tracks," according to SANDAG, which expects the project to be completed in 2020. In San Diego, crews will reinforce rail and bridge infrastructure along Morena Boulevard and Santa Fe Street, part of the Elvira to Morena Double Track Project, which is expected to be completed later this year. According to SANDAG, the project is being completed concurrent with the Mid-Coast Trolley extension, which will extend Metropolitan Transit System service 11 miles from Santa Fe Depot in downtown San Diego to University City. The rail work is part of SANDAG's Build NCC (North Coast Corridor) program, a 40-year, $700 million effort to repair and expand vehicle and rail transportation infrastructure throughout the county. Once completed, the county anticipates adding a total of 13 miles of new carpool and high-occupancy vehicle freeway lanes, 1 1/2 miles of doubled railroad track, seven miles of bike and pedestrian paths and more than 1,200 acres of restored and preserved coastal habitat land.